Have you ever been in a situation where you knew exactly what was going to happen, what was going to happen was a travesty but the desires of everyone involved are just too set in stone? Every action and reaction is a cruel inversion of the claims of those doing them? That is Holy Week. The desires of the Galilean crowds, the desires of the Jerusalem priests and the desires of Rome are locked into a danse macabre . The thing about the dance of death is that it reveals all of our follies. All of our false pieties and crass ambitions are laid bare and open for us to see. Those groups dancing 2000 years ago desired messiahs not very much different from those we often desire. 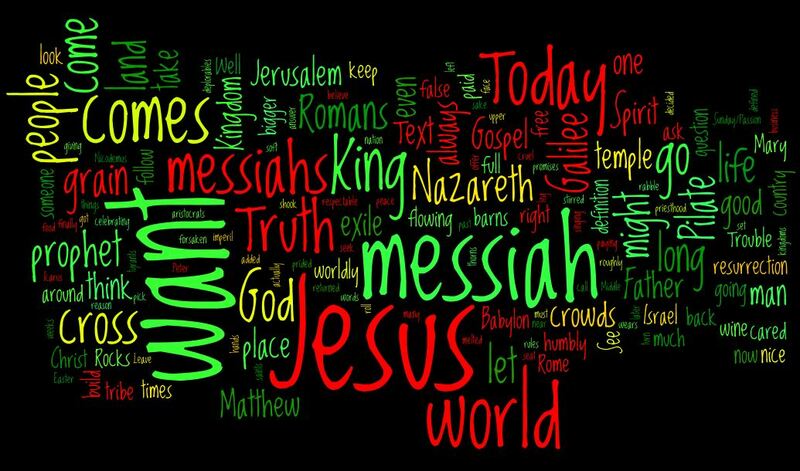 Jesus exposes them, and defines what the messiah is. 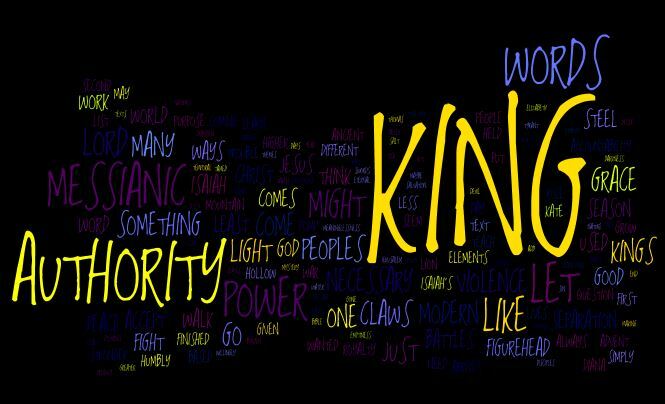 The sermon explores our false messiahs and how they tyrannize us, and the freedom the true King offers us. Worship note: I’ve left in a bunch of music this time. The hymns for Palm Sunday are probably the greatest in the hymnal. Between the palm and passion lessons the choir sings a pretty arrangement of the Palm Sunday Hosanna. 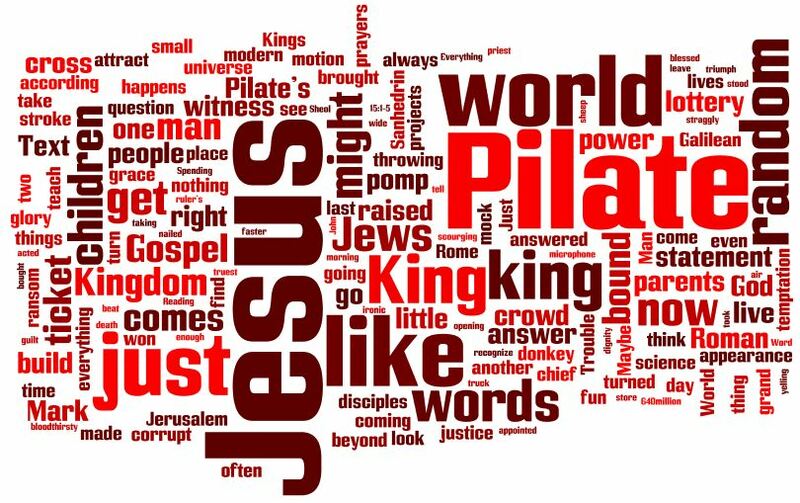 The Hymn of the Day was LSB 444, No Tramp of Soldiers Marching Feet, a modern hymn which keys off of Pilate’s ironic words in the gospel of John “behold your King”. Truer words were never spoken that came off a tongue so false. The closing hymn, LSB 441, Ride on Ride on in Majesty, also beautifully connects the Palms and the Passion. This was the first Sunday in Advent which is a season of preparation, of preparation for receiving God. 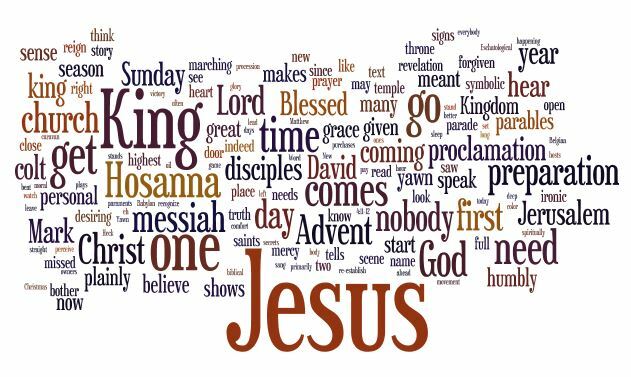 The first open reception of Jesus as the Christ as the King was Palm Sunday, and the triumphal entry has been the historic reading for the first Sunday in Advent for almost forever. When you read it from the Gospel of Mark, as we are doing this year, it reads as irony (in contrast to the moment of messianic fervor in Matthew). In Mark, that first time, nobody got it. They were all looking for the messiah, the king, and when he shows up, nobody recognizes him. Now I think you could say the inverse. Nobody is expecting the messiah, the king, and if you believe the Bible, when he shows up this time, everybody will recognize him immediately. That is the Kingly Irony. 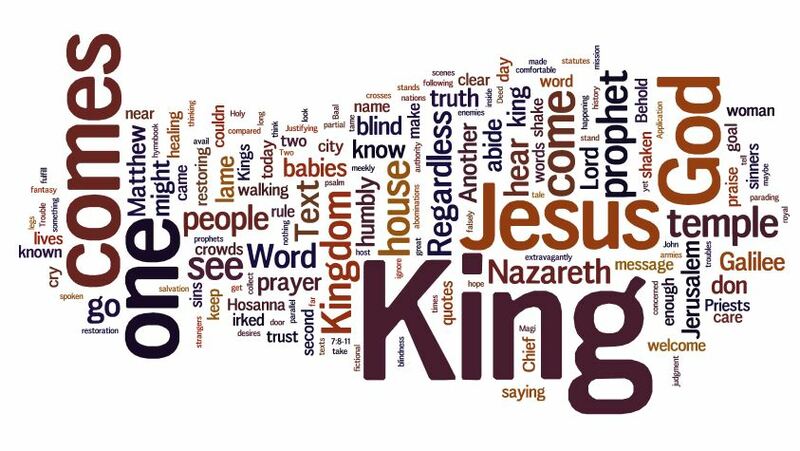 This sermon looks at the way this irony continues in our lives and that irony is actually the extended offer of the grace of the King. This is the biblical text for the events of Palm Sunday, the start of holy week. The outline is very basic law and gospel. The law consists of identifying where we have gone astray. That happens in the reactions of the crowds. Those who should have known don’t care. This is traced as a pattern in Matthew’s gospel. 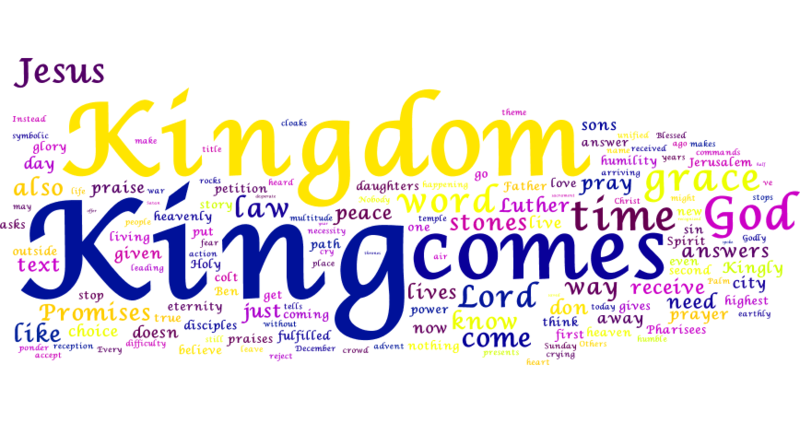 Those who have some idea never-the-less attempt to pervert the power of the Kingdom to their personal Kingdom. The gospel is simply that the King comes anyway. The King comes, and humbly offers himself to all who believe.